This infographics from BoatsBuilder.com shreds light to the different type of Boats Build in Kerala, South India. 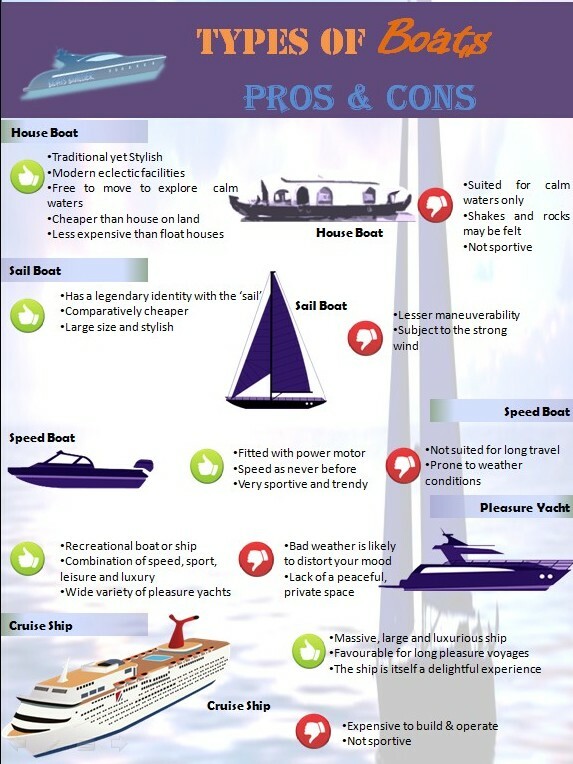 The advantages and disadvantages of each of those types of boats. which includes House...	Boat, Sailboat, SpeedBoat, Pleasure Crafts and Cruise ships. Eventhougt there are a varity of Marine Travel types Boats, Houseboats and Yachts are the most common types of boat which is being created. The districts which are on top of the boat / yatch construction are Cochin (Ernakulum), Alleppy, Kottayam, Kollam and Trivandrum.